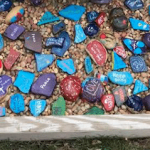 28 October 2018, written by Sue Sturman Building Stones: The Christian Community I have attended many churches in my time…..lots of us have done this. We move, we find a new church community. And we come from disparate origins: I’m a cradle Episcopalian, though neither of my parents were.